With those convictions and sentiments, I find myself completely in solidarity. 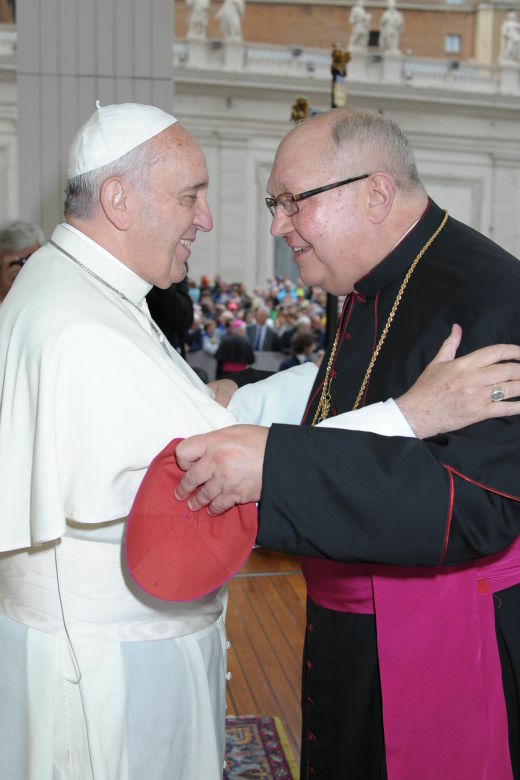 Having renewed my expression of respect and filial affection for the Holy Father, I must add that during his tenure as our Apostolic Nuncio, I came to know Archbishop Viganò both professionally and personally, and I remain deeply convinced of his honesty, loyalty to and love for the Church, and impeccable integrity. In fact, Arch. Viganò has offered a number of concrete, real allegations in his recent document, giving names, dates, places, and the location of supporting documentation – either at the Secretariat of State or at the Apostolic Nunciature. Thus, the criteria for credible allegations are more than fulfilled, and an investigation, according to proper canonical procedures, is certainly in order. Maybe the Pope will give it to Fr. Z.
Bishop Morlino & Fr. Z. How Many Guns Is Fr. 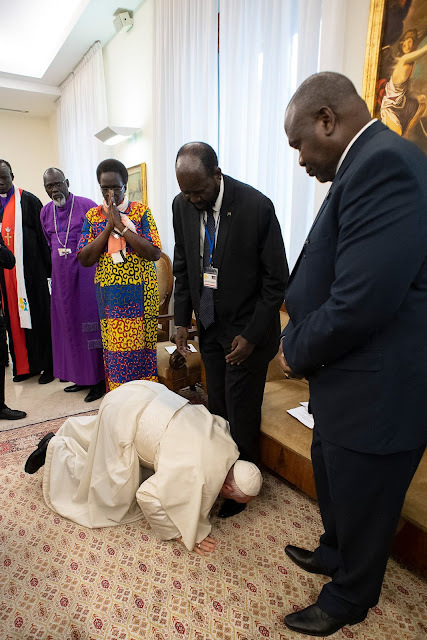 Z Packing Under His Vestments?